After mapochette.com contacted me, requesting exclusive clutch bags designed by Aiisha, it was my first attempt designing bags, on the design board I went for gigantic sizes (around 18 inches wide) made of patent calf leather with a python print. 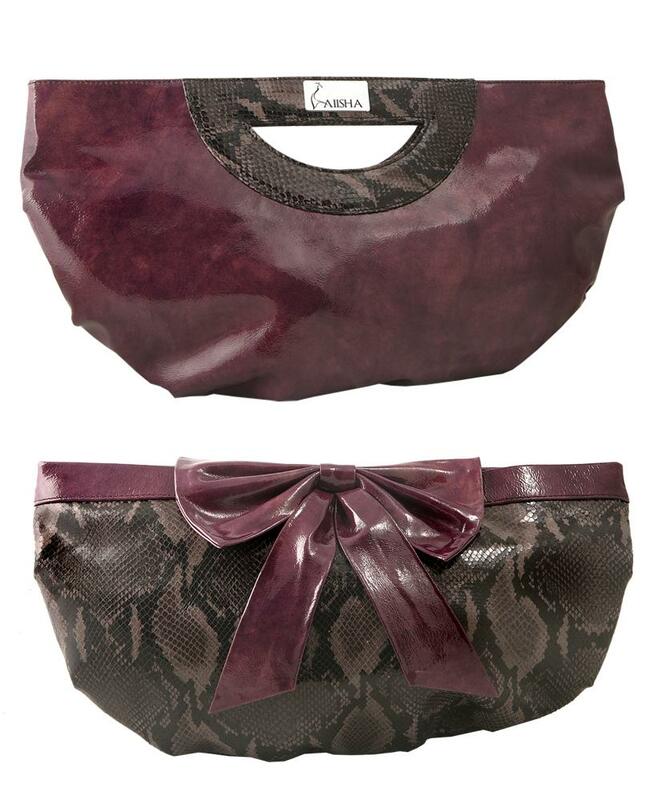 One of the clutches had a more romantic appeal with its bow and the other was more futuristic and practical. Both bags are available on mapochette.com exclusively for rental. I can’t wait to surprise myself with the upcoming designs.